How Could Travelers Benefit From AUZ Rental Cars? If you are planning to visit Melbourne for either business or pleasure, you may require the services of a car hire company. As soon as you get down at the airport, you may be looking for car rentals to transfer you to the pre-booked hotel. This is where AUZ Rental Cars comes in. We not only transfer you between the airport and the hotel, but also take you anywhere that you want to explore. How could you benefit from AUZ Rental Cars? First and foremost benefit of using our car rentals Melbourne is that you can travel as a group. This can be extremely beneficial, especially if you are planning a weekend getaway with your group of friends or family members. 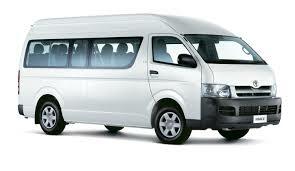 We have vehicles that can accommodate a large group, so you can all travel together and have fun in one vehicle. Apart from the benefit of driving together as a group, you can save a great deal of money with our car hire services. Instead of everyone traveling in their own vehicles, the entire group can travel in one vehicle. This lets you save a considerable sum of money on fuel in the long run. Our car hire in Melbourne helps you reduce wear and tear to your vehicle. Most people have a misconception that car hire is optimal only when traveling in a foreign country, but it is certainly a misconception. If you want to explore your own country or enjoy a leisurely road trip, you can take advantage of our car hire services. Your car remains safely in the garage and will not be subjected to any wear and tear. We also provide road side assistance to all our clients on using our car rental in Melbourne. You will be provided with the handiness of having someone on call in the event of a sudden breakdown or emergency. At AUZ Rental Cars, we offer the fast, versatile and personalized services along with cost effective car rental solutions. With an easy online booking option, we are the right choice for your next Melbourne trip.